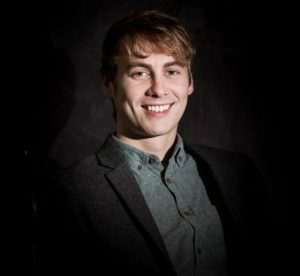 This week it’s the turn of Sam Gadsby, Managing Director of Chester digital marketing agency Clicky. April is always an exciting month in our industry calendar, busy strategising with clients whilst exploring new and innovative digital channels and approaches for the year ahead. The new financial year appears to have commenced well in the digital sector and across the wider region too, with an array of new clients wins and appointments reported on Prolific North in recent weeks. It was particularly positive to see the continued European connection the North has acquired, with Fourth Day PR being handed the media relations brief to promote Hamburg. Whilst opinion is clearly divided on Brexit, our digital, technology and marketing sectors have proven resilient throughout a number of challenging circumstances in the last 12 months. Whether commercial and customer uncertainty will again rise in light of Theresa May’s decision to call a snap election earlier in the week is soon to be seen. It is my hope that whichever political party comes to power, it recognises the importance of the digital and technology sectors in the UK, particularly with our more independent status in the world economy looming. Certainty, stability and strong leadership are indeed required, as is the continued investment in the Northern Powerhouse, which needs to be supported and funded by the next government. I was really pleased to read that the Northern Powerhouse Fund began making the first investments recently. A Week in My Life: John Nuttall, CEO at WellIn possibly more inevitable political news, George Osbourne announced that he will quit as MP for the Cheshire constituency of Tatton. Despite this, I believe it is vital that he acts on his promise to remain active on the issues he cares about "like the success of the Northern Powerhouse". Innovation is something that definitely drives the North as a region. It’s not only the digital sector competing on the international stage, with Liverpool and Manchester continuing to attract filmmakers, as reported in the exciting announcement that several major dramas have started shooting in the cities. I also noticed that the Prolific North Awards 2017 hadn’t received a mention in The Wrap, and as previous winners of ‘Website of the Year’ and being nominated for ‘Best Large Digital Agency’ in this year's awards, I wanted to extend huge congratulations to everyone who has been shortlisted. We look forward to what promises to be a fantastic night, and getting the opportunity to meet with exceptional digital talent, in what is the sector’s biggest gathering and awards celebration outside London.